You can download the paperdoll here. 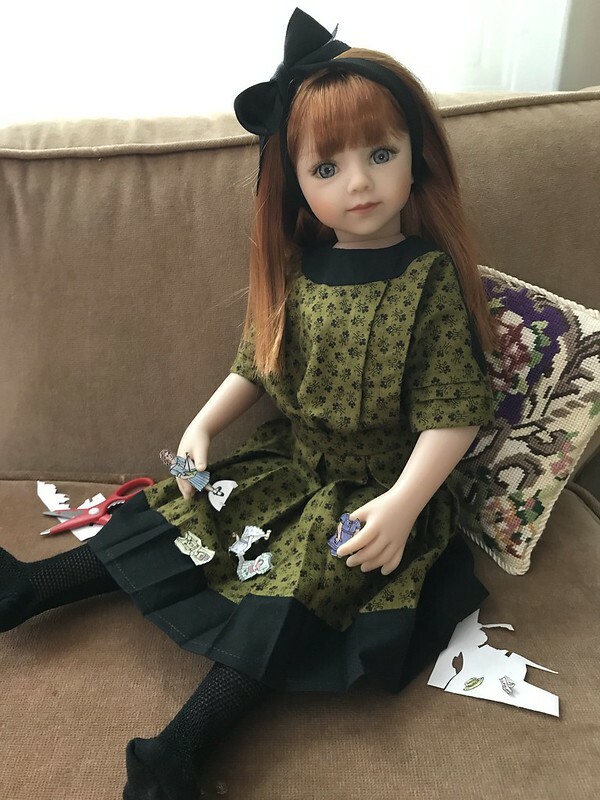 If you missed any of the patterns from the sew-along, or would like them in both AG and AGAT size, they are all on etsy now, including the Rainy Day dress. This dress will be the bonus pattern for summer sew-along! Here is the corrected collar piece for the rainy day dress, the whole pattern will be up for another day too. I seriously checked the final version not once but TWICE and still the wrong piece got pasted in. Note to self: do not ever again try to do an intense summer sew along and have house guests and demonstrate at a wool market all in one week. Thank you so much to Juliette for bringing this to my attention! Summer sew along final week! Good morning and welcome to the last week of the summer sew-along! The hat she’s wearing is the accessory pattern for this week if you get your boating dress pic posted! How do you get the accessory pattern? If you did everything correctly and did not get the accessory pattern, please check your junk/spam folder! For some reason, last week’s pattern went to multiple peoples’ junk folders. This dress will be a challenge, with multiple types of pleats including a curved one! It’s from Pictorial Review in 1911. The magazine, like many of the time (Delineator, Ladies’ Home Journal, etc.) also published patterns that got advertised in their magazine. 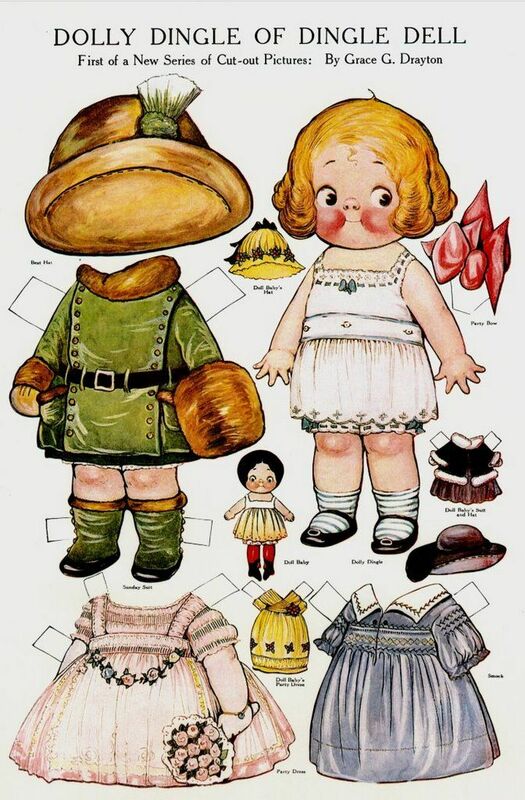 Some had paper dolls either for fun or with associated advertising or sewing patterns, so kids could use the paper dolls as-is or mom could purchase patterns to make the dresses. If you’re familiar with Dolly Dingle, who later advertised soup, she was the Pictorial Review doll starting in 1913, and some popular ones from Ladies’ Home Journal included Lettie Lane and Daisy, who was an actual doll but could have been cut out as paper dolls too. Have you been sewing along every week? If you’ve made ALL the patterns each week and submitted pix of them you’re eligible to get the bonus pattern! Yes, if you missed a week here or there, and got the patterns on Etsy you can still submit pix of everything by the end to get the bonus pattern. I extended the due date for all the final submissions to June 24 to give you a few extra days. Put all your links (or link to one pic with everything) in here by Sunday night and the free bonus dress pattern will be emailed to you Monday morning. If you do not post your pix and put the links in the form, you will NOT get the bonus pattern, no exceptions! Please note this is a new google form for the final submission – you don’t need to submit the links for the final dress on the old one too! Summer sew along week 4! 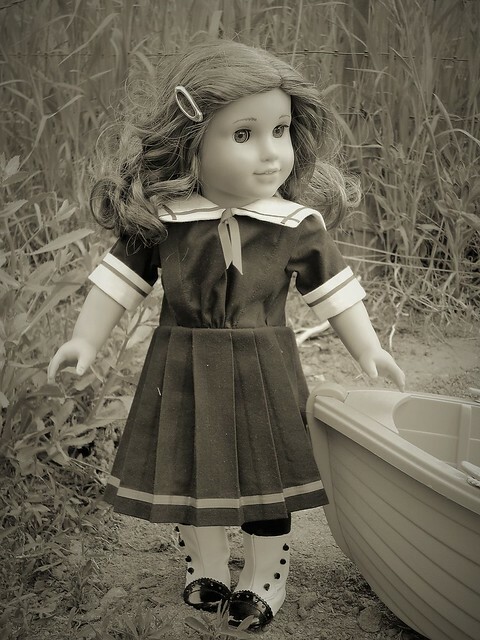 Reminder: Today is the last day to get your entries in for last week’s seaside costume and the accessory pattern (shoes) will be emailed tomorrow. Scroll to the bottom of this post for the links! Wow, are we already a month into this? It has been one of the most stressful sew alongs for me because of the resizing and accessory patterns – kind of like getting 3 blog posts done every week! It’s been probably the most challenging sewing-wise too, and I’m thrilled to see what everyone has done! I’m not linking here, because last week when I put in tons of pix from Flickr it somehow tripped a spam filter and wordpress took the blog offline. Wow, that was terrifying!! So, I’ll just direct you here: https://www.flickr.com/groups/2825314@N20/ to see all the exquisite work everyone has done!